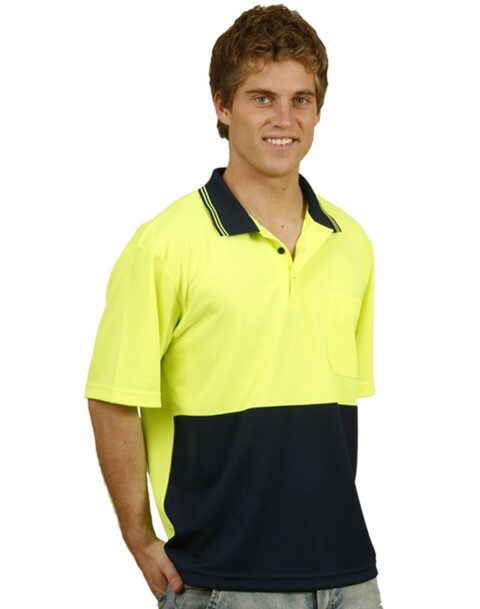 Warp Knitted 120gsm - 100% Polyester. 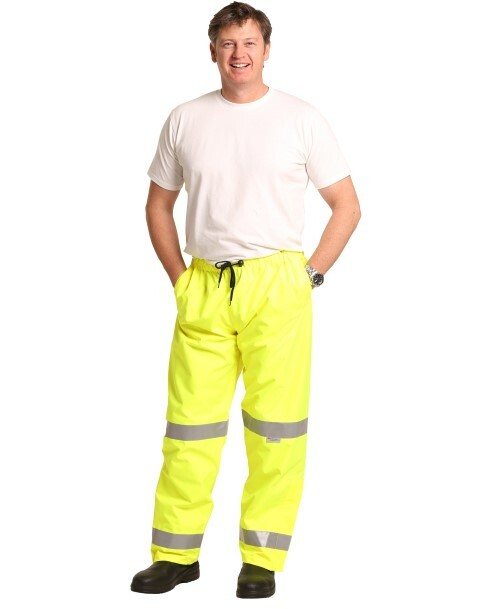 Generic Reflective Tapes. 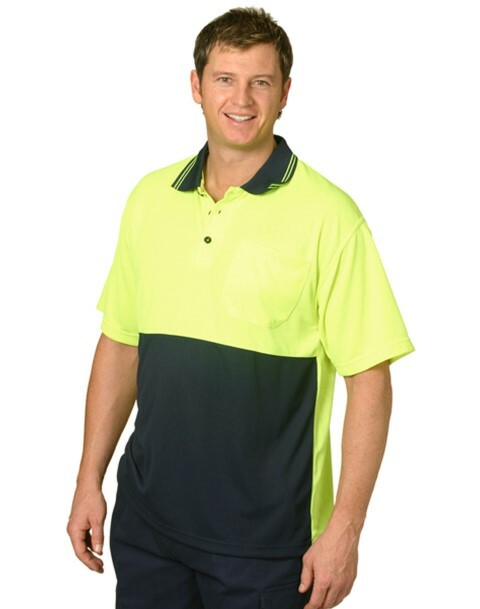 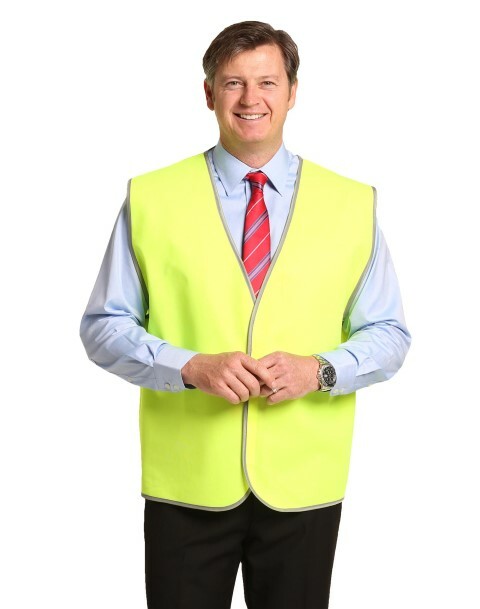 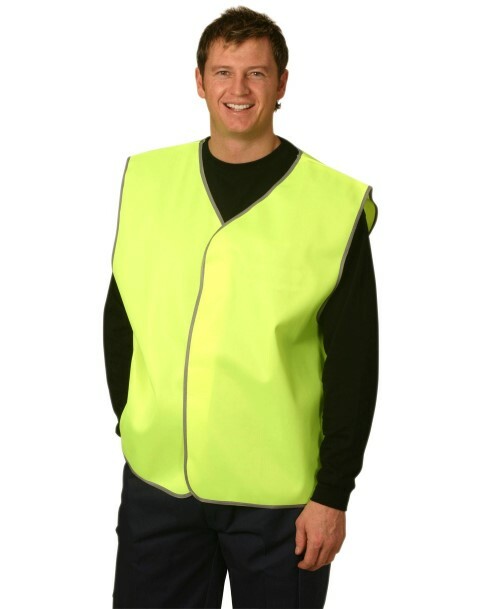 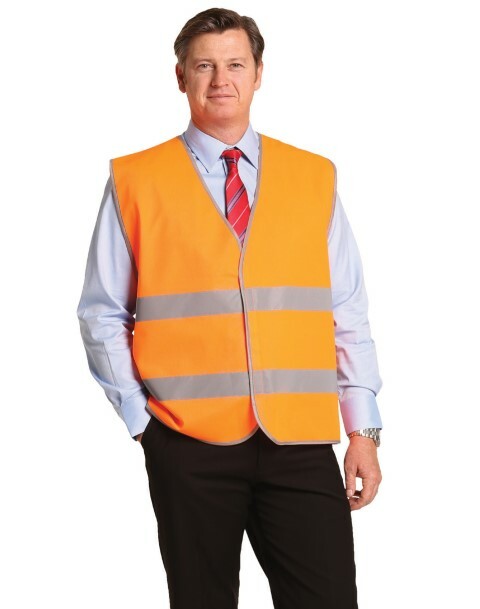 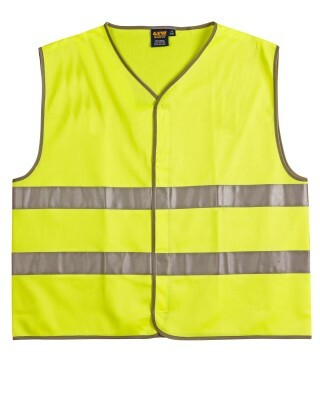 Conforms to AS/NZS 4602.1:2011 Class D/N day & night use safety wear.Reflective tape for night wear. 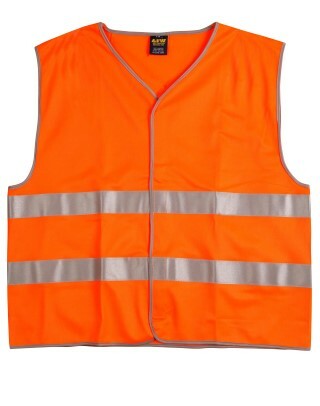 Velcro closure on front of garment.